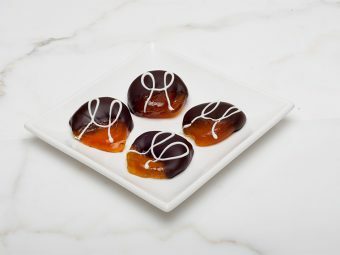 Home / Shop / Holiday Chocolates / Thanksgiving Chocolates / Welcome Autumn! Welcome Fall and all your beautiful colors! 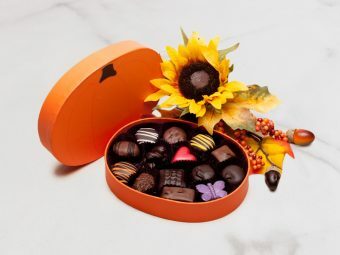 This Fall box contains an assortment of 9 of our customers favorite chocolates. Welcome Fall and all your beautiful colors! This Autumn box is adored with a beautiful ribbon to celebrate the arrival of fall colors. This box contains an assortment of 9 of our customers favorite chocolates. Open the box to feast your eyes on handmade dark and milk chocolates and signature truffles. This is the perfect Thanksgiving, hostess or just, “You are a special” gift box. Share your good taste with others!